On March 21, 2011, Merlinda Perea called 9-1-1 to report her son, Perea, was on “very bad drugs” and she was afraid of what he might do. Around the same time, a neighbor also called 9-1-1, reporting that Perea was pacing in his yard, clutching a Bible, and asking forgiveness of a higher power. Albuquerque officers Baca and Jaramillo were dispatched for a welfare check. The call information described a verbal fight with no weapons involved, and the primary subject, Perea, suffered from mental illness and may be under the influence of drugs. Upon arrival, Merlinda Perea told the officers Perea had left on his bicycle, was “acting up,” and she was afraid for his welfare. Officers Baca and Jaramillo began to search for Perea in separate patrol cars in case he was a danger to himself. The officers located Perea on his bicycle, but when Perea saw the police car he began to pedal away faster. Officer Jaramillo turned on his emergency lights, but Perea did not stop. According to Officer Baca, Perea pedaled through a stop sign without slowing down. The officers forced Perea into a parking lot with their patrol cars, where Officer Jaramillo exited and pursued Perea on foot. After the brief chase, Officer Jaramillo pushed Perea off his bicycle. The court record showed the officers did not tell Perea why they were following him or why he was being seized, and they never verbally instructed Perea to stop. After pushing Perea off his bicycle, Officer Jaramillo tried to grab Perea’s hands to detain him. Perea struggled and thrashed while holding a crucifix. The new X2 has two complete prong deployments, but is much larger than the X26. With Perea struggling, Officer Baca told Officer Jaramillo to use his Taser on Perea. Officer Jaramillo deployed his Taser into the chest of Perea on “probe” mode, but the initial shot proved ineffective (likely from a lack of spread of the probes due to being in close proximity). Officer Jaramillo then placed the Taser on “stun” or “contact” mode. Jaramillo tasered Perea nine additional times, for a total of 10 Taser deployments in less than 2 minutes. At some point before the deployments stopped, the officers were able to position Perea on his stomach, with both officers on top of him, effectively subduing him. After the deployments concluded, Baca called an ambulance and a field supervisor to the scene as required by the Albuquerque Police Department Taser policy. While waiting for the ambulance, the officers noticed Perea had stopped breathing. CPR was successfully performed, and Perea began to breathe normally. 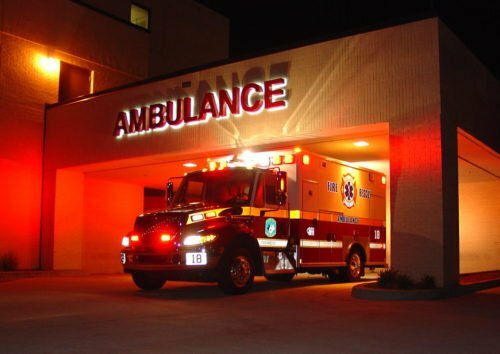 However, upon hearing the ambulance sirens, he began struggling again, screaming and asking God for forgiveness. The paramedics attempted to treat and calm Perea, but he stopped breathing again and his pulse stopped. Perea was transported to the hospital and pronounced dead a short time later. (EDITOR’S NOTE: Rendering immediate aid has proven to be a critical consideration in use of force incidents where a suspect has been injured, rendered unconscious, or ultimately dies. Failure to do so has resulted in an almost unanimous finding against the officers, so officers must be prepared to go from fighting to rescuing). After Perea’s death, his family sued the police officers, the Albuquerque Police Department and the City for excessive force under 42 U.S.C. 1983. This is the Federal Statute dealing with the deprivation of civil rights by a person acting under color of law (law enforcement or government officials). The ruling from the 10th Circuit Court of Appeals will likely have wide impact on other Federal Circuits in their review of use of force cases involving the Taser. The Court of Appeals examined the reason the officers had contact with Perea (welfare check), and the manner in which the Taser was used (prong versus stun, and deployments before and after being “subdued”). 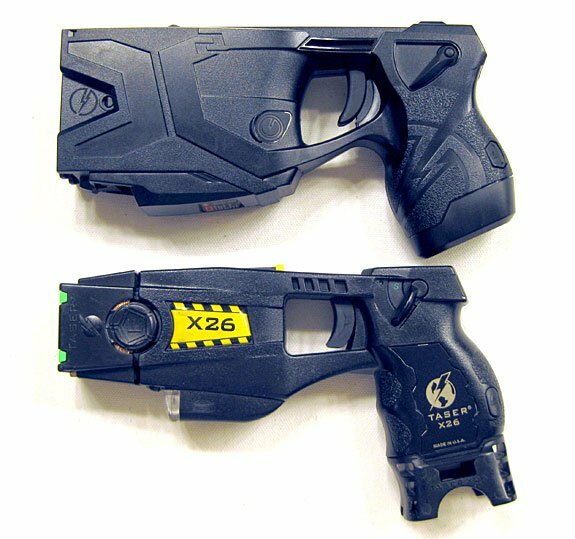 In reviewing the case, the U.S. Court of Appeals took notice concerning the repeated TASER™ deployments against Perea after he was subdued. Interestingly, the Court found that Perea was “subdued” at the moment both officers were on top of him. This is despite the record being unclear if he had already been handcuffed at that time, and in contrast to the testimony Perea was still struggling. The 10th Circuit Court of Appeals ruled this was a violation of the 4th Amendment as excessive force. The court indicated that repeated TASER™ deployment against a “subdued misdemeanant” was a disproportional use of force. Whether the suspect is actively resisting arrest or attempting to flee. Not all arrests require such extreme measures (photo by U.S. Mint Police). 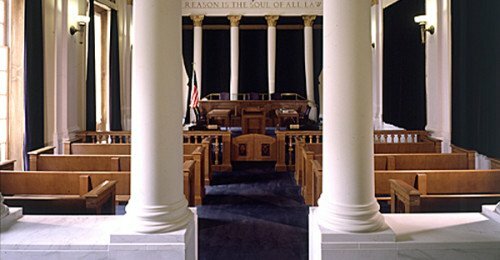 The 10th Circuit held that “Perea’s resistance (thrashing and swinging a crucifix) did not justify the officers’ severe response.” While the Court acknowledged some force was justified during Perea’s initial resistance, a jury could find that the continued use of the TASER™ once Perea was “subdued” was unreasonable. The Court held that even if force was justified during the initial deployments, the force was not justified once Perea was “subdued”. Having found a violation of the 4th Amendment, the Court went on to find that the law was clearly established at the time and thus the officers were also denied Qualified Immunity. How is the Perea case different from so many other cases where a suspect resists officers? How is the use of the Taser so different from the tens of thousands of other lawful uses each year. In this case Perea went to the ground and at one point had his hands under his body. So how is continuing an intermediate level of force on Perea different from similar situations of suspects hiding their hands in resistance and having intermediate force used upon them? Dealing with mentally unstable subjects is becoming more common, and officers must balance their duty to “help” these persons with legitimate officer safety concerns. The biggest differentiation that stands out is the call starting as a “check the welfare” rather than a criminal investigation. In addition, Federal Courts are becoming more consistent in viewing Taser prong deployment as more control technique, where stun deployment only is viewed as pain compliance. Pain compliance can be lawful, but the continued use of pain without alternatives is quite often viewed negatively by the Courts. It appears officers are simply punishing a person, rather than using lawful force to overcome resistance and take the suspect in custody where justice can be properly served. In this regard the 10th Circuit has been consistent with many other Federal Circuits. When police are called upon to “help” troubled citizens, the Courts have been highly critical of force that leads to serious injury or death. The last sentence in the Court’s ruling is chilling. The Court acknowledges the officer stopped using the Taser as soon as Perea removed his hands from underneath his body. The Court acknowledged Perea was still resisting in some manner or other. However, the Court took the stance that two officers on top of Perea was sufficient to “subdue” him even prior to him being secured in handcuffs. In my opinion, this is highly influenced by the nature of the call, and Perea’s form of resistance. In this video a man, likely under the influence of illegal drugs (think Perea), had been running in and out of traffic screaming at cars. When deputies confronted him he was found to be unarmed, but acting agitated. When the backing deputy arrived he laid down on his stomach. However, as the deputies tried to secure him in handcuffs he quickly slipped their grasp and began violently punching the deputies. After one retreat, the man aggressively attacked the deputies again. Then as he backed away the female deputy shot him once, causing him to fall on the roadway. The male deputy retrieved his Taser and deployed it 12 times (apparently not realizing the male had been shot). This was a very dangerous situation, compounded by a male acting erratically and likely on drugs. The man is not particularly large, though taller than the female Deputy. Even though the two deputies had him laid prone on the ground and held his arms behind his back, he was able to wrestle his way free and physically assault them. The decision in the Perea case is established case-law for the U.S. 10th Circuit. This includes New Mexico, Colorado, Utah, Wyoming, Kansas, and Oklahoma. However, as we have seen with many Federal Appellate rulings, the other Federal Courts of Appeal give strong weight to the rulings of other Circuits when determining similar cases (especially if their own Circuit is lacking in precedence. The Memphis Crisis Intervention Team (CIT) Model is internationally recognized. We have reported before on the importance of proper mental illness response training. The Memphis Model of Crisis Intervention (CIT) is internationally recognized as a guiding model for officer response to mentally ill subjects. 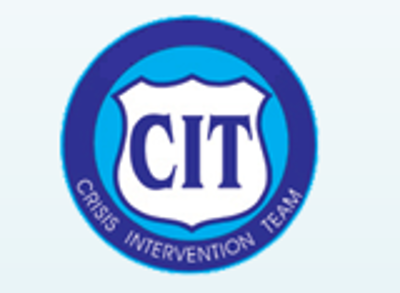 The CIT model deals with everything from people suffering from schizophrenia to those who have abused drugs and alcohol. A properly trained CIT officer may have been able to establish a rapport with Perea and allowed him to be safely taken into protective custody and transported to a hospital or mental health facility. 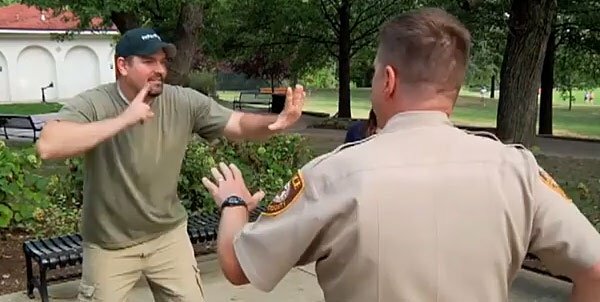 Many officers are trained about how dangerous a suspect can be with their hands hidden underneath their body. In fact the Force Science Institute conducted a study that showed a prone suspect with hidden hands could produce a firearm and fire on an officer in less than one second. That is much faster than an officer can process their observations and respond accordingly. Here the force used was an intermediate level – Taser electricity. The initial use was a prong deployment, or launch. The 10th Circuit appears O.K. with that deployment. However, the Court felt that a “welfare check” with some resistance did not justify drive-stunning the Taser on Perea – particularly after the Court felt Perea was “subdued” on the ground. This was, however, before his resistance stopped and handcuffs were secured on him. The dangerous aspects of the ruling are perhaps not so much on the repeated drive-stun use of the Taser, but the Court believing a suspect/subject is “subdued” simply because two officers are on top of them. Regardless, officers must be aware the use of force on unarmed and mentally unstable subjects who offer only moderate resistance, must be limited in scope, application, and duration.